Now more than ever, we’re recognizing the interconnectedness of digestive health with general well-being. It’s true that a healthy system makes you feel amazing, but it can also dramatically boost your immune system thanks to the flora of natural bacteria found in your gut. This type of bacteria isn’t the bad kind that we eradicate with a pump of hand sanitizer or a swipe of disinfectant across our keyboards. In fact, these bacteria are insanely beneficial. They help us absorb nutrients and fight off bodily invaders, among other things. 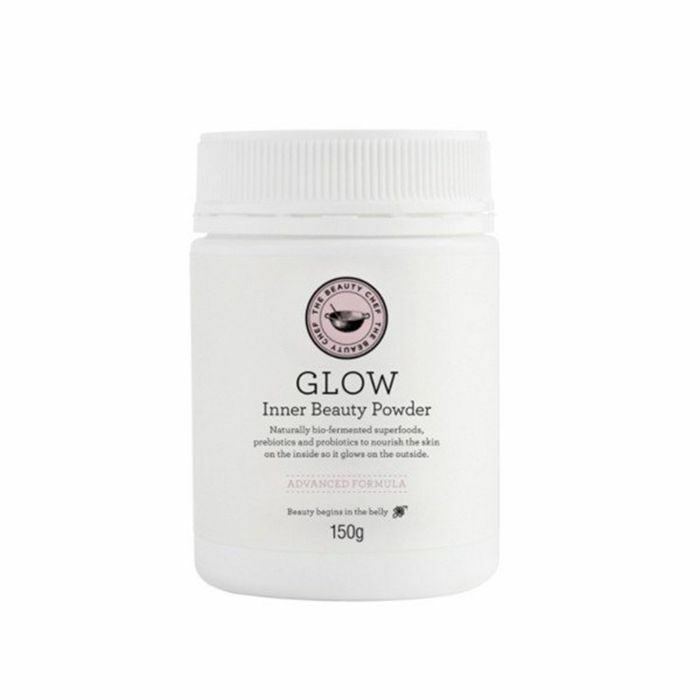 Did we mention they also contribute to a glowing complexion? Clearly, keeping these good bacteria happy, flourishing, and well-functioning is paramount. How do we do this, you ask? It’s simple. Other than taking daily probiotic supplements, it’s as easy as incorporating digestion-friendly foods into your diet. Keep reading to hear which breakfast a gut expert swears by to boost her digestive health! Roshini Raj, MD, is board-certified in gastroenterology and internal medicine. She’s also the co-founder of Tula, a skincare line that harnesses probiotic power for clear and glowy skin (shout-out to its Hydrating Day & Night Cream, $52, a gentle yet insanely effective daily moisturizer). Needless to say, she knows a thing or two about fine-tuning the body from the inside out. So when she recently shared a typical day of eats with Health, suffice to say, it piqued our interest. So what does this experienced, certified, and knowledgeable gut expert eat for breakfast on a daily basis? None other than a classic yogurt parfait. Yep, it’s delicious, easy to prepare, and nutritious. Before you run and grab a prepackaged parfait, it’s important to note that she makes her own, meaning she can control the sugar content and restrict extra additives. She reaches for nonfat, plain Greek yogurt and layers low-fat granola over it. Then, she tosses in some mixed berries. "Berries are a great source of antioxidants, and the yogurt provides my daily dose of probiotics, which not only benefit your gut but also the immune system, and even your skin," Raj says. 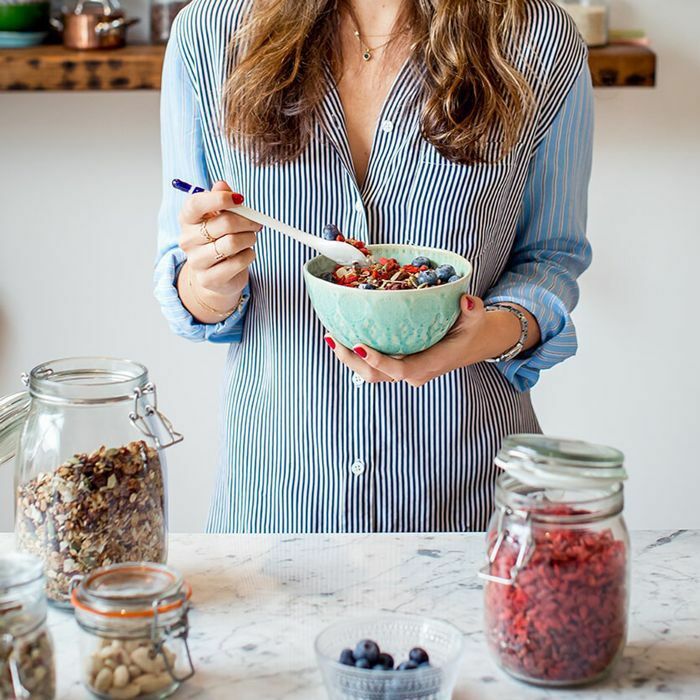 "I also add a little bit of flaxseed powder to the granola to make sure I’m starting the day with some healthy fats." That’s it. A gut-friendly breakfast that proves simple really is better. Not a fan of yogurt? 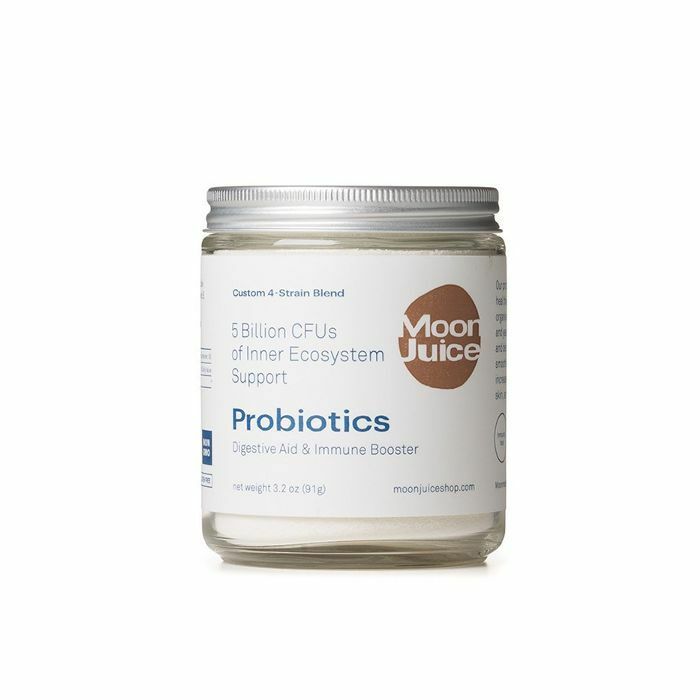 Get your fill of good bacteria with one of our go-to supplements below. Head over to Health to see the rest of Raj’s go-to meals. 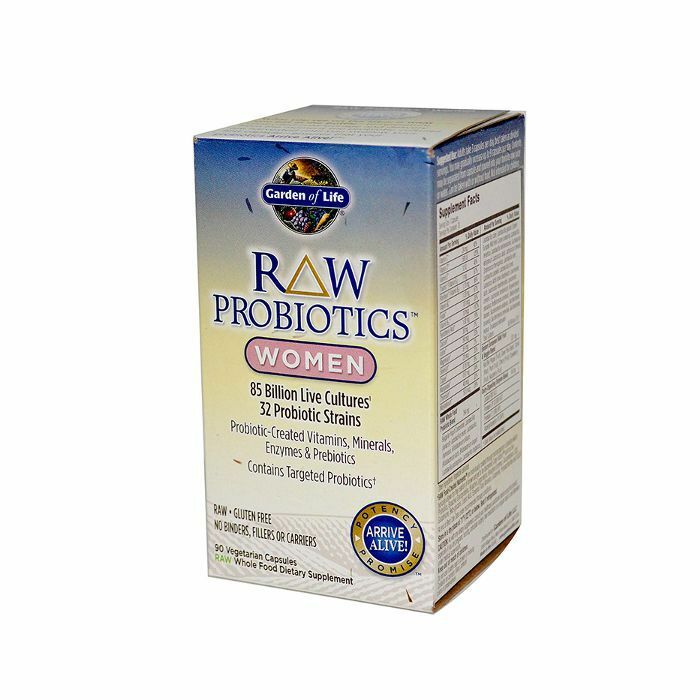 And next up, read about the only probiotics worth taking, according to experts!